Weight Capacity of 750 lbs. 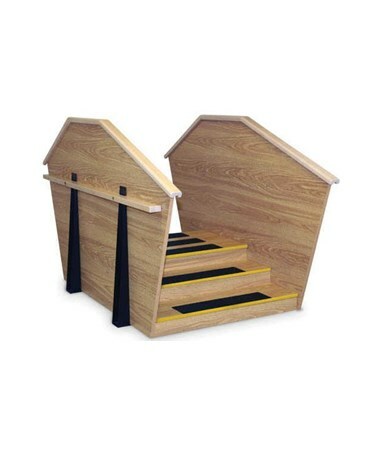 The Hausmann Industries Bariatric ADA Two-Sided Staircase is a heavy-duty training device constructed with reinforced plywood designed for exercise, rehabilitation, and physical therapy. 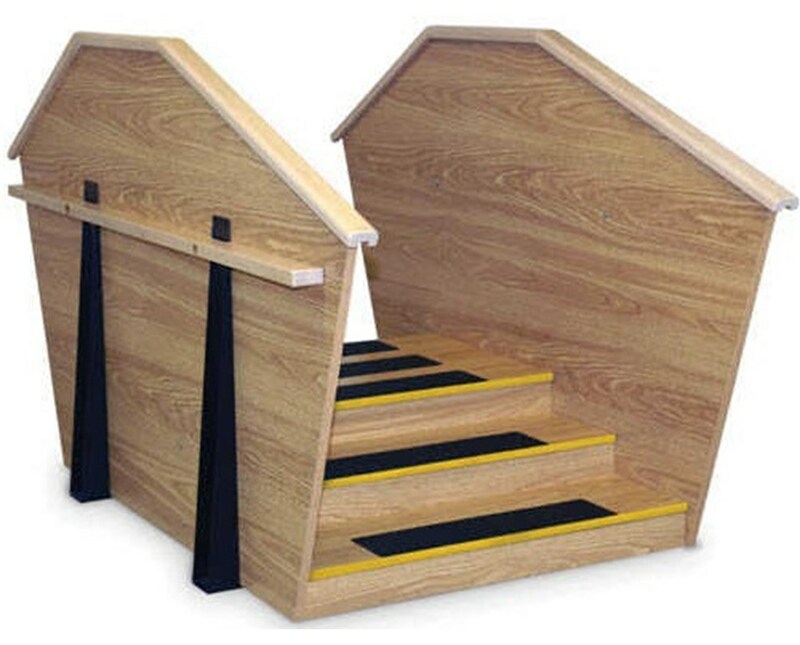 Made with natural oak high-pressure laminate, the Bariatric ADA Two-Sided Staircase has a 750 lb. weight capacity. It has two 6" high steps on one side and three 4" high steps on the opposite side which feature BriteStep™ 3mm edging. Each step is 38" wide and has an Americans with Disabilities Act (ADA) Compliant depth of 11" and the platform is 38" wide x 27" deep x 12" high. Constructed with solid laminated plywood side panels, the Two-Sided Staircase has ergonomic easy-to-grip hardwood handrails which have a 12" ADA extension beyond bottom steps. The Hausmann Industries Bariatric ADA Two-Sided Staircase comes in a size of 84" L x 40" W x 12" H and are shipped ready-to-assemble.